A Rooster Once Crowed Leader’s Study Guide is a very well done study resource and is most effective when used with the book A Rooster Once Crowed. 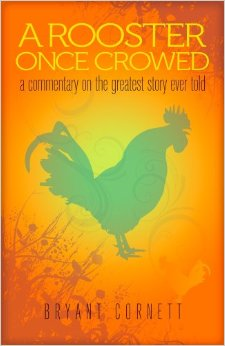 The Leader Small Group Study Guide for A Rooster Once Crowed is such a fantastic resource. Whether you are an experienced leader or a brand new leader this book will provide a great educational source to study the Bible using the book A Rooster Once Crowed. Mr. Cornett provides a very simple and easy to follow outline to help facilitate the group through the study even going as far as to provide overviews for the chapters. This group study can be completed within seven sessions, however, the material can be adjusted as necessary to either reduce or expand the number of sessions. Each session is divided into the following areas and has clear, easy to follow instructions. Because the Study Guide is so directly connected to reading and studying the correlating book it’s relevant to incorporate the information from A Rooster Once Crowed which I’ve provided below based on my review of the book. Both the book and study guide take the reader from Genesis and the creation through the new church in Revelations. It is the point of decision where you take the bible stories from Sunday School and turn them into life transforming direction. Mr. Cornett offers some great insight as he breaks down things like the Trinity, opening my eyes to some things that I’ve just always “known” in church to truly understanding. 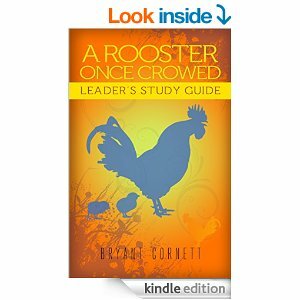 I would absolutely recommend both of the books in A Rooster Crowed Once as well as The Leader Small Group Study Guide. These are great resources to have! I received this book from the Book Club Network in exchange for my honest opinion.